Catch us in the September Issue! No other Hydraulic oil can offer a “Fill for Life” Performance Guarantee in stationary applications. Only the high quality, Swiss made, Panolin Hydraulic Fluids! BNAC is very proud to be their Western Canadian Supplier! 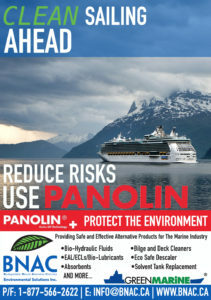 Watch for our AD in the September issue of BC Shipping News Magazine! http://bnac.ca/wp-content/uploads/2016/05/BNAC_Logo_good-1.png 0 0 chris http://bnac.ca/wp-content/uploads/2016/05/BNAC_Logo_good-1.png chris2018-08-21 23:02:302018-08-21 23:02:30Catch us in the September Issue! Switching to Bio Lubricants is becoming increasingly popular. As environmental enforcement agencies increase pressures and costs for petroleum lubricant spills, many companies are switching to environmentally safer products. EAL/ECL’s can protect the users against fines, cleanup costs and downtime. Our Panolin Hydraulic Oils have an extended life in comparison other oils that are considered ‘Environmentally Friendly’. Unbeknown to most, Vegetable based Hydraulic oils aren’t ideal due to the fact that once the oil expires, it becomes rancid and can infect entire ecosystems. Panolin’s line of hydraulic oils is a fully synthetic blend of saturated esters, resulting in a super extended life, with no risk of rancid oil contamination. 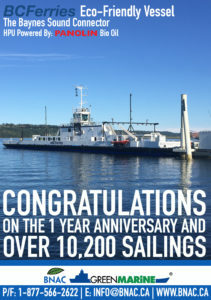 In February of this year, BC Ferries celebrated a special anniversary. BC’s 1st saltwater cable ferry, The Baynes Sound Connector, celebrated its one year of service. The Baynes Sound Connector has been running between Buckley Bay and Denman island and has had over 10,200 sailings and is BC Ferries most cost-effective and eco-friendly vessel. 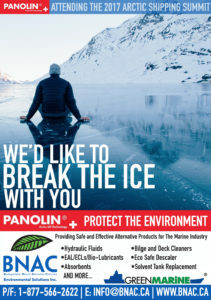 BNAC Environmental Solutions is thrilled to be providing this innovative and ground breaking vessel with our environmentally conscious Panolin Hydraulic Oil. BNAC Environmental Solutions and Panolin attended The 2017 Arctic Shipping Summit, organized by the Active Communications International from 30th October to the 1st November 2016 in Montreal, Canada. The conference brought together various key industry stake-holders including Ship-owners, Ship-mangers & associated solution providers, fuel solutions, IT & data associations, consultants & technology providers and many more. 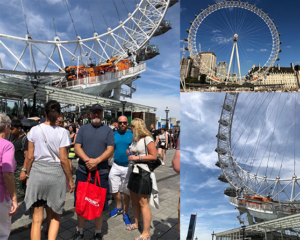 It was an amazing opportunity to stand side by side with the experts from Panolin and many other influential industry leaders. 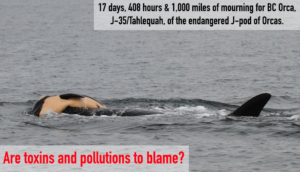 BNAC Environmental is thrilled to have been featured in BC Shipping News Magazine’s June 2016 Environmental Edition! 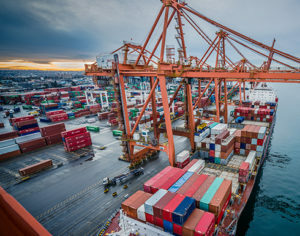 BNAC was contacted by Darryl Anderson, a writer for this industry leading magazine who was researching ways in which our clients, Global Container Terminals, GCT (Formally TSI Terminals) and BC Ferries are moving towards environmentally safe alternatives to some of their otherwise toxic oils and cleaners. 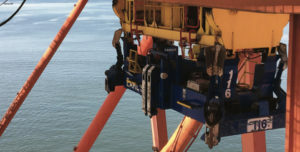 When Global Container Terminals’ (GCT) predecessor company made a policy decision to implement environmentally friendly products, the Maintenance Superintendent at GCT’s Vanterm operation, reached out to BNAC Environmental Solutions for a safe an effective solution to their previous Hydraulic oil. The team at GCT implemented a year-long test of our swiss made Panolin Hydraulic Bio Oil, before switching entirely to this safe alternative after a successful trial. They observed that when choosing a green alternative, the technical attributes of the product are just as important as the quality of the service offered by the supplier. 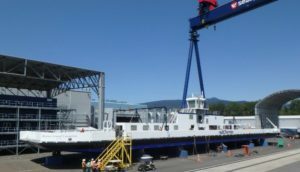 BC Ferries’ newest ship, the 150-passenger, 50-vehicle Baynes Sound Connector, has been built by Seaspan Shipyard in North Vancouver to be the ‘greenest’ vessel in their fleet. Everything relating to the environment was taken into consideration with the new vessel, which includes finding an environmentally conscious Hydraulic Oil. The use of non-toxic fluid is a vital step in contributing to sustainable shipping should a leak occur. 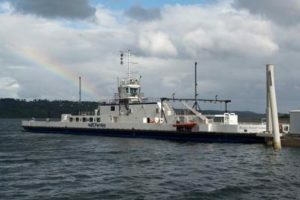 The Vice president of engineering at BC Ferries’, states that the Baynes Sound Connector Cable Ferry has had a good all-round performance with the use of the Panolin Line. The oil is much more environmentally friendly and has resulted in very normal operational parameters around system pressure and temperature. 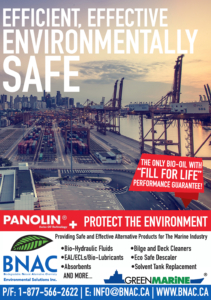 BNAC Environmental Solutions is thrilled to have such an influential magazine receive such positive reviews about transitioning large vessels to an environmentally conscious alternative such as the Panolin Line.